16:40 JUDO - Men's -73 kg - Round of 16 Drakšič ? 17:10 JUDO - Men's -66 kg - Quarterfinals Drakšič ? 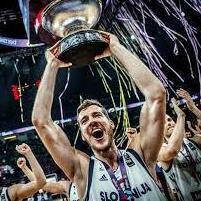 20:00 SHOOTING - Men's Trap - Semifinal Maček ? 21:00 SHOOTING - Men's Trap - Final Maček ? 21:10 JUDO - Men's -73 kg - Semifinals Drakšič ? 22:30 JUDO - Men's -73 kg - Finals Drakšič ? 04:10 SWIMMING - Men's 200 m Butterfly - Semifinal Žbogar ? * Tokič slightly injured his right shoulder after amazing and thrilling opening set, therefore was not able to put maximum out of himself later in the match. 17:10 JUDO - Women's -63 kg - Quarterfinal Trstenjak ? 20:16 CANOE SLALOM - Men's C1 - Final Savšek ? 21:00 JUDO - Women's -63 kg - Semifinal Trstenjak ? 21:30 JUDO - Women's -63 kg - Final Trstenjak ? 03:03 SWIMMING - Men's 100 m Freestyle - Semifinal Tavčar ? 03:37 SWIMMING - Women's 200 m Butterfly - Semifinal Klinar ? Tina Trstenjak wins gold medal in judo. This is first medal for Slovenia in Rio, 20th medal since our independence and 44th medal in total. 16:45 JUDO - Men's -90 kg - Round of 16 Žgank ? 17:45 JUDO - Men's -90 kg - Quarterfinal Žgank ? 20:15 CANOE SLALOM - Men's K1 - Final Kauzer ? 21:20 JUDO - Men's -90 kg - Semifinal Žgank ? 22:00 JUDO - Men's -90 kg - Final Žgank ? 04:55 SWIMMING - Women's 4x200 m Freestyle - Final Klinar/ Šegel/ Oder/ Pintar ? Slovenia has won second medal in Rio. Peter Kauzer took silver in K1 Slalom for Men. That means Rio 2016 are next Games, from which Slovenia will came home with at least two medals. (as in Barcelona, Atlanta, Sydney, Athens, Beijing and also London). Well done!